Lean In Canada is a community of professional women empowering each other to build purposeful and fulfilling careers. Since 2013, we have grown from an audience of 20 people to over 2500 members in various professions. We built our organization for people just like us: professional women who are passionate about driving their careers forward to the next level and beyond, and who want to achieve greater success not only in work, but in life as a whole. Meeting monthly, we focus on hot career topics with actionable information and inspiring stories, and provide networking opportunities with like-minded people. We recognize that women face unique challenges in their professional lives, and seek to bring women together to learn from and champion each other in a positive, enriching environment. Together, we can be stronger. 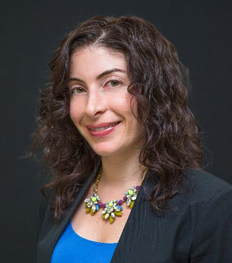 Beverly Altberg is chief marketing officer of Shyft International, a blockchain-based ecosystem that enables attested data transfers in a marketplace setting. She is responsible for identifying the overall company value proposition, generating demand and establishing a sound marketplace presence. Before Shyft, Beverly served as vice-president, marketing, product management, pricing and ecommerce at Acklands-Grainger, a billion-dollar industrial distribution company. In her role, Bev had responsibilities for the company strategy and value proposition while leading all centralized operating functions other than supply chain and sales. Prior to joining Acklands-Grainger, Bev was senior director, merchandising and merchandising planning operations at Target Canada. In this role, Bev was responsible for all operating functions that supported the merchandising organization, including Strategy & Operations, Pricing & Promotions, Market Insights and Forecast & Replenishment. Throughout her career, Bev has also held progressively senior roles with Frito Lay, in Canada and the U.S., Target U.S. and Macy’s. Her main areas of expertise are in corporate strategy, marketing and brand building, operational excellence and talent development. As an Associate of Strategic Initiatives at Brookfield Property Group, Katie is responsible for evaluating real estate investment opportunities across a diverse range of industry sectors including multifamily, industrial, retail, office and land development. 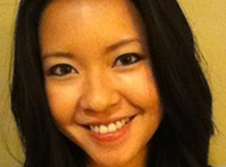 She has four years of experience in commercial real estate valuation and complex financial modeling. 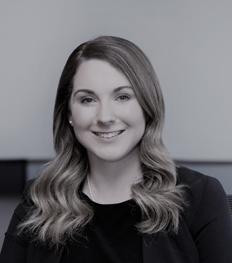 Prior to joining Brookfield, Katie worked in public accounting for five years with EY in Vancouver and San Francisco, gaining extensive expertise in financial reporting and assurance. 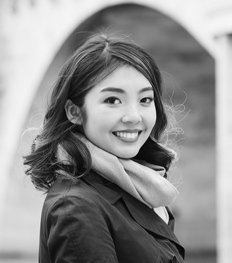 She joined the Lean In Canada volunteer team as an Associate Treasurer in early 2017, and since then has developed a strong understanding of the organization’s culture, structure and processes. Katie is a passionate advocate for gender equality in the financial services sector and believes it is important to create a strong pipeline of future female senior leaders in the industry. She is eager to help create a strong foundation to support the continued growth of Lean In Canada, and take a leadership role in the cultivation of a network of ambitious and inspiring women. Katie received a Bachelor of Commerce degree from the University of British Columbia and holds a CPA designation. Kathy Smart is the Project Director for ASPIRE, a ground-breaking work-integrated learning pilot initiative launched to create 10,000 new high-quality student opportunities in Financial Services & drive cross-sector collaboration. She oversees all aspects of projects including program design, strategic resource planning, and budget forecasting, as well as tactical aspects including delivery, growth, monitoring, reporting, and the line management of two staff members. Her role includes event management, leading the concept/design planning, organization and delivery of numerous events, among which are several high-profile corporate events attended by over 150 employers (12 c-suite) & government representatives, which have attracted media attention. In addition, she successfully applied for and secured $2.1 million in federal government funding for ASPIRE, and was one of only 10 programs funded nationally. Prior to this, Kathy was the Director of Task Squad, the award-winning youth employment initiative from vInspired, the UK’s national youth charity. Kathy brings with her a wide range of additional skills, including Business Development, Recruitment, and Corporate Partnerships. Candy brings in close to a decade of experience at Anheuser Busch-InBev Canada, working in a variety of roles in Sales, Logistics, Trade & Brand Marketing – while living in Vancouver, Montreal, Halifax, Edmonton and now Toronto. Currently as Senior Brand Marketing Manager for Budweiser, Kokanee, Value Brands & Beer Category, she was awarded Marketing Magazine’s Top 30 Under 30, and her work has been recognized at the Media Innovation Awards, Cassies, among others. She was previously a board member with Craftworks Society BC and the Women in Leadership Foundation, and frequently volunteers with her alma mater, UBC. A longtime fan of the outdoors, Candy achieved a bucket list item a few years ago by hiking to the summit of Mt. Kilimanjaro. Candy is passionate about enabling the success of women in majority-male workplaces and loves to think big and bold. Jennifer is a seasoned marketing executive with over 12 years of experience leading marketing strategy and brand transformation across a broad spectrum of global and Canadian based apparel and beauty brands in luxury, specialty and mass retail including Sears Canada, Holt Renfrew, Danier Leather and The Body Shop. Her strengths lie in leveraging strong customer insights to build sales driving strategies and superior customer experiences. She holds an Honours Bachelor Degree in Business and Sociology from the University of Waterloo and a post-graduate degree from Parsons School of Design in New York City. Currently, Jennifer is the VP of Marketing and Corporate Social Responsibility for Good & Green, a socially responsible, organic cannabis company focussed on developing cannabis and cannabis products. Jennifer’s passion for joining the space was inspired by her desire to use her marketing experience to educate Canadians about the therapeutic and medical benefits of cannabis based products in addition to right-sizing gender inequalities in the industry through mentoring, education and women’s networking groups. 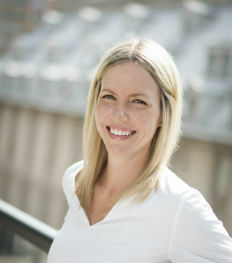 Kelly Olsen is Principal at Co. Retail Consulting, a boutique retail consultancy firm that specializes in the fashion and luxury-goods sectors. In an ever-connected economy, Co. Retail Consulting builds connections between brands, retailers and consumers through targeted merchandising, product and business strategies. Prior to her current role, Kelly spent over a decade at Holt Renfrew in leadership roles within their Buying & Merchandising group. Her strong strategic, analytical and creative approach has allowed her to excel throughout her career. Kelly is very passionate about obtaining gender equality in the workplace in our lifetime, and specifically removing biases and barriers for women with or having children. Lorraine Leduc is a high-achieving sales leader with a proven ability to drive significant revenue growth in technology businesses, bringing full-cycle business development and sales experience to the table. In addition to her role as an Enterprise Sales Executive at Hawk Incentives, Lorraine has been with the Lean In Canada Sponsorship committee since 2016, when she joined as Team Leader of National Sponsorships. Her previous business development, sales, and partnership experience spans early stage startup companies such as FundThrough, to established corporations such as Moneris Solutions and Constant Contact, and she has also served as Former Treasurer and Board Member at the Association of Strategic Alliance Professionals, Toronto Chapter. Lorraine is passionate about helping women learn and implement strategies to move their careers forward and achieve high levels of success and fulfillment. Gail Banack is the Associate Vice President of Customer Experience at Canadian Tire Corporation. Gail is a passionate advocate for gender equality and is committed to empowering, coaching and supporting women personally and professionally. Prior to joining Canadian Tire Corporation, Gail was the Director, Marketing Strategy & Insights at Labatt Canada, an AB InBev corporation, where she launched and lead their gender diversity program. 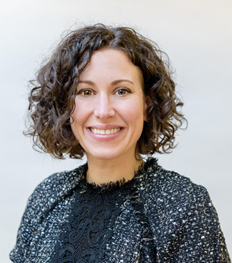 She also held senior-level roles in marketing and strategy at Target Canada, Loblaws and Spin Master Ltd. mentoring and coaching young women and men. Before joining Lean In Canada, Gail sat on the Board of Directors of the Sexual Assault Support Centre of Waterloo Region; an organization that supports survivors of sexual violence and uses an intersectional feminist approach that works to transform systems which promote gender-based violence. 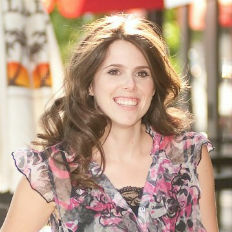 She holds a Bachelor of Commerce degree from Central Queensland University and an MBA from Wilfrid Laurier University. "After each Lean In Canada event, I feel like my batteries have been re-charged; I am motivated and have connected with other like minded, driven women." Judi Hughes is the co-founder of Your Planning Partners Ltd. She and Nick have worked together building successful businesses since 1979. 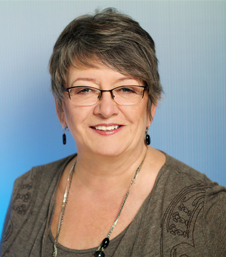 Judi has applied her strong marketing and sales skills to her work with hundreds of small business clients. She has been instrumental in helping her clients set a clear destination, develop strategic action plans and focus on implementing those plans. Judi has written numerous articles, been a key-note speaker, taught a wide range of hands-on workshops and led numerous seminars all directed at bringing small business owners the tools and knowledge they need to create an exceptional business. 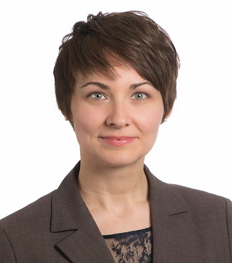 Lynn van der Valk is a partner at Gray, Whitley, van der Valk LLP, specializing in corporate, commercial, and not-for-profit law. 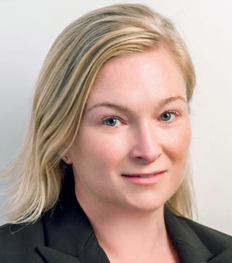 Lynn is also a Lawyer-Editor at Practical Law Canada, a Thomson Reuters business, where she creates and maintains corporate and M&A "how-to" resources. Previously, Lynn worked as in-house counsel at Cara Operations Limited and as a business law associate at McMillan LLP. 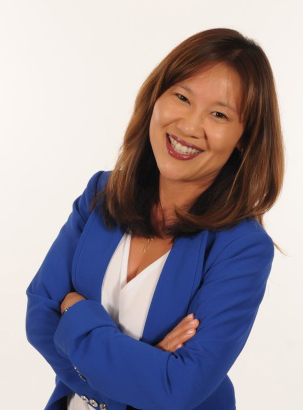 Jackie Foo is a seasoned executive, specializing in Telecom and Retail. She has successfully led 5 major retail chains and 2 national call centres. She has extensive experience in building and transforming organizations. Jackie is passionate about leading and developing people. Her energy is infectious and she has shaped so many careers with her inspirational leadership style. As an executive advisor to Lean In Canada, Jackie has participated in networking events, led speaking engagements and has contributed to our national expansion strategy. Jackie currently leads the Retail Centre of Excellence (RCoE), providing shared services to Bell Canada’s sales channels including Corporate Stores, Dealers and National Retail (over 2500 points of distribution). She is best known for creating retail programs for store management, sales, service, operations, merchandising, store design and distribution that result in record sales growth. Prior to leading the RCoE, Jackie was the former Chief Operating Officer for The Source - one of Canada’s leading Consumer Electronics and Wireless retailers with 650+ locations across Canada. Jackie also held the role of Vice President of Bell Corporate Stores. She was responsible for all aspects of retail operations for Bell and Virgin Mobile branded stores. Outside of her career, Jackie loves to travel the world with her husband, Steven, and daughters Sidney (19) and Rachel (6). She lives in Thornhill, Ontario, Canada, just north of Toronto. In 2013, when Sheryl Sandberg's book, Lean In: Women, Work and the Will to Lead, was released, it was something that Christina Rupsingh, Despina Zanganas, and Sarah Kwan individually knew they needed to read. One of the key points of the book was this: that we need to actively build our own support systems in order to be successful. After discovering each other's mutual passion for supporting professional women, they began meeting in Despina's office with a group of 20 as Lean In Toronto, and before long, knew they were on to something special. In 2014, they incorporated the organization and became Lean In Canada, with the mandate to build a thriving community of women who come together and celebrate each other's successes and ambitions.